Brussels, 23 August 2016 - The Unrepresented Nations and Peoples Organization (UNPO) strongly condemns the Mauritanian government’s recent crackdown on anti-slavery activists, notably the unlawful arrest, torture and sentencing to lengthy prison terms of scores of IRA members on spurious charges. 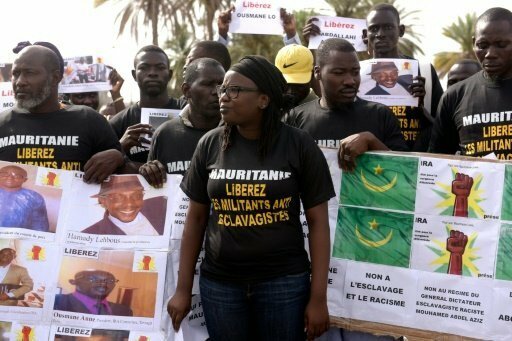 Only weeks after the release of IRA President Biram Dah Abeid and Vice-President Brahim Bilal Ramdhane, the Mauritanian authorities have unleashed a new wave of brutal repression to silence anti-slavery activists. In June 2016, thirteen members of the Initiative pour la Résurgence du Mouvement Abolitionniste (IRA Mauritania) – almost the entire leadership, as well as several regular members – had been arrested. The Mauritanian government justified the arrest of the IRA activists with trumped-up charges of rebellion, “armed assembly”, “violence against agents of the public force” and “association with an unregistered organization”. During the preliminary detention which followed their sudden and unlawful arrest, the imprisoned activists reportedly faced inhumane treatment and torture. On 18 August 2016, after only two weeks of trial, all of the falsely imprisoned received harsh prison sentences, ranging from fifteen to three years. During the grossly bogus trial which had preceded their sentencing, the imprisoned activists weren’t allowed to argue their case. In order to protest the procedural irregularities and unfair treatment of the imprisoned, their lawyers had resigned from the trial, which then continued without their presence – adding to a number of other irregularities and breaches of procedure. Quite clearly, the trial is a thinly veiled, politically motivated attempt by the government to silence IRA activists and discredit their organisation. This new spate of repression takes place while, internationally, awareness for the plight of the Haratin in Mauritania seems to slowly grow, as evidenced, for instance, by Mr Abeid and Mr Ramdhane having received several human rights awards in the last couple of years. However, the increased awareness has to be translated into concrete action to improve the dire overall human rights situation in Mauritania where human rights activists, and in particular abolitionist activists, have no choice but to leave the country – or risk being harassed, arrested, tortured and sentenced to lengthy prison terms as well. UNPO calls on the Mauritanian government to immediately cease gross and systemic human rights violations and take concrete steps to improve the situation in the country, starting with the immediate and unconditional release of all IRA members held for their peaceful political campaign against slavery. UNPO further calls on the international community to pay sustained attention to the plight of the Haratin, and concrete action to hold the Mauritanian government accountable for the perpetration of gross human rights violations and the ruthless crackdown on anti-slavery activists. To read a press release on the recent trial and sentencing of 13 IRA members, click here.